Dr. Brian Forsgren is the founder of Gateway Animal Clinic, a thriving veterinary practice within Cleveland’s poverty-stricken inner city, which focuses on supporting and maintaining the human-animal bond, even in the face of financial hardship. His practice philosophy is unique—to provide access to care for pet owners who have minimal financial resources. A graduate of Ohio State University College of Veterinary Medicine, he has served as the Ohio Veterinary Medical Association’s (OVMA) Chairman of the Animal Welfare committee (1996-99) and OVMA President (1999). 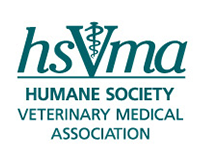 Nationally, Dr. Forsgren is a member of the American Association of Human Animal Bond Veterinarians, the Society for Veterinary Medical Ethics and the Humane Society Veterinary Medical Association. He was one of the first veterinary professionals to step forward and endorse a farm animal welfare ballot initiative launched in 2010 in Ohio to address extreme forms of confinement on factory farms. Dr. Forsgren not only lent his public support to the initiative, but also collected signatures for the ballot petition, hosted a fundraiser and reached out to his colleagues to get them to endorse. He has been honored as Ohio’s Veterinarian of the Year (2000), received the OVMA Distinguished Service Award (1996), was named Distinguished Alumnus by the OSU’s College of Veterinary Medicine (2009), received the AVMA’ Leo K. Bustad Companion Animal Veterinary of the Year Award (2009) and, most recently, received the HSVMA Veterinary Advocate of the Year award (2011).